HANGING OUT - Participants congregate in Hilton Coliseum before the All-State Festival. 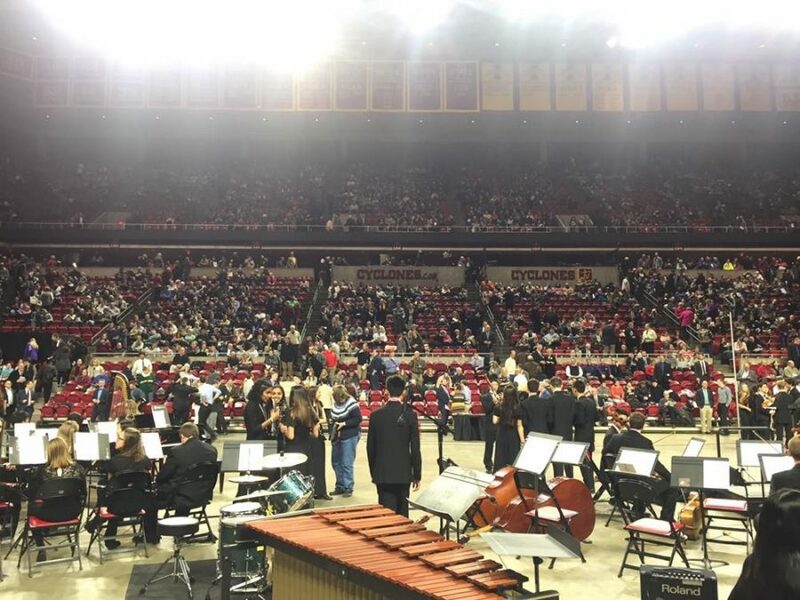 The annual All-State Music Festival was held this past weekend in Ames. Four students from Atlantic attended, three in the choir and one in the band. 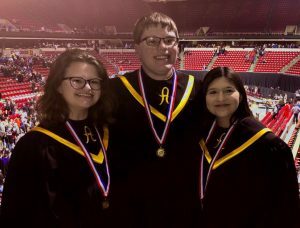 Seniors Sarah Schorle and Avery Andersen participated in the chorus with sophomore Genevive Martinez, while sophomore Alexander Somers played the tuba and earned Second Chair in the band. At the festival, there are 600 members accepted into the choir, 208 in the band and 210 in the orchestra, making a total of 1,018 musicians and singers. 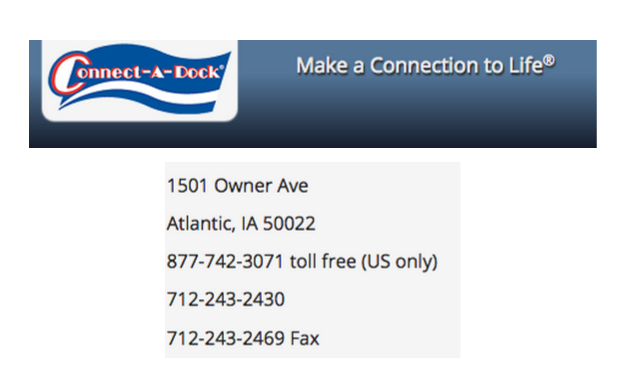 Atlantic hosted an auditioning site and according to band director Jarrod O’Donnell, there were about 1,000 people present. 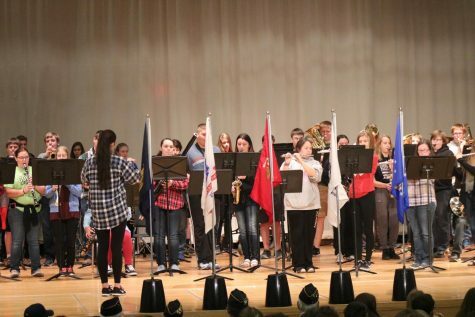 Students can only audition for their respective roles if they are involved in band or choir. 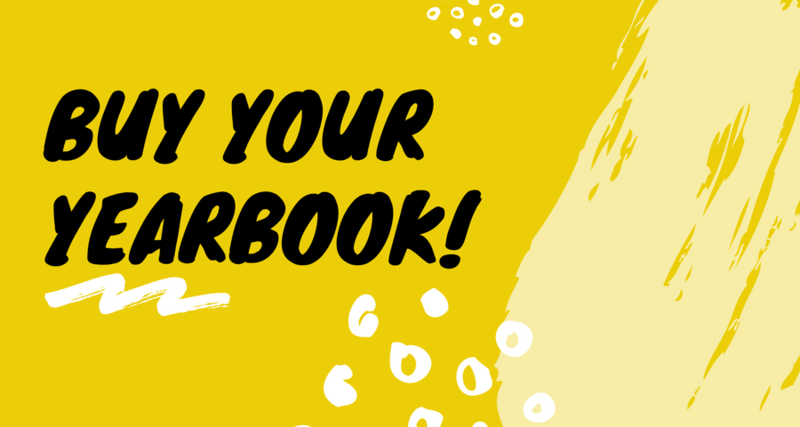 Music is sent out near the end of July, giving those who choose to audition about 13 weeks to practice. Choir members are given about seven pieces of music, while band members prepare scales, a solo piece and études. SECOND CHAIR WHO? 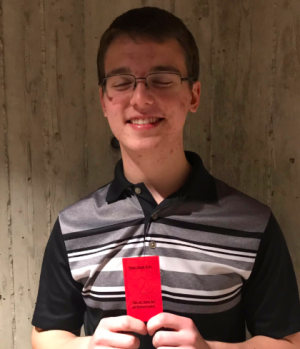 – Sophomore Lex Somers holds up the card indicating his second chair earning. Somers has attended All-State for each of the years he has been in high school. As a freshman, Somers was also accepted and said this year was “definitely a relief and exciting still.” He was also much less nervous going into the festival this time around. 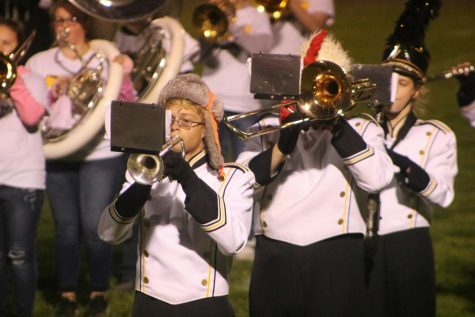 “I wasn’t a little freshman amongst a bunch of seniors who had been playing tuba a lot longer than me,” Somers said. 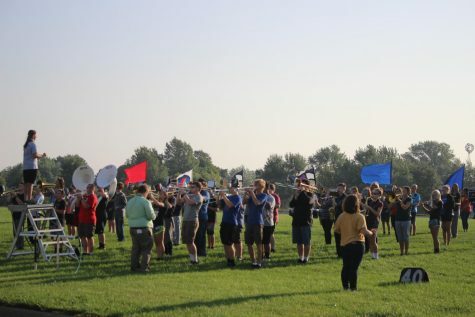 After learning he had earned Second Chair, Somers said he was “dumbfounded.” “I don’t think I quite earned it but it was a shock.” In the future, Somers hopes to earn First Chair in the band and be accepted after his first audition instead of being recalled. For as long as O’Donnell has been at AHS, members of the band have been accepted into All-State, with four being accepted in 2016. 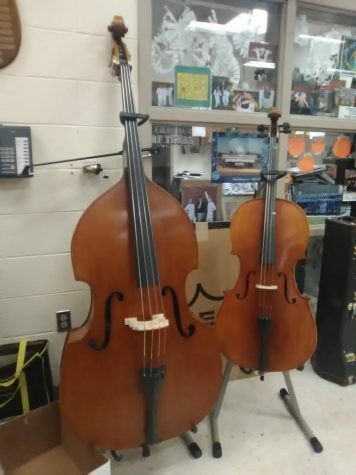 He describes Somers as a “strong player” who “works hard and practices all the time.” In the following years, O’Donnell hopes to have more students try out, even if they aren’t accepted. 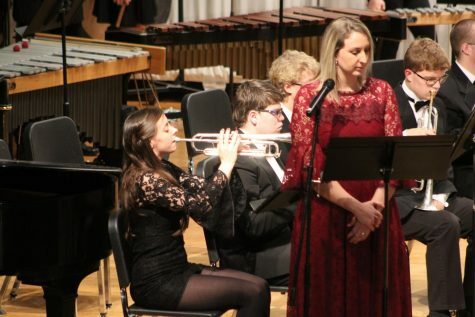 Choir director Jennifer Gaesser said many students who audition for All-State do it to become better musicians, and that the level of music is “probably two or three levels higher than what we do here at school.” According to Gaesser, the auditioning process is also difficult because students are selected on the basis of the judges’ preference. “One judge might like this tone of voice and this judge might like another,” Gaesser said. 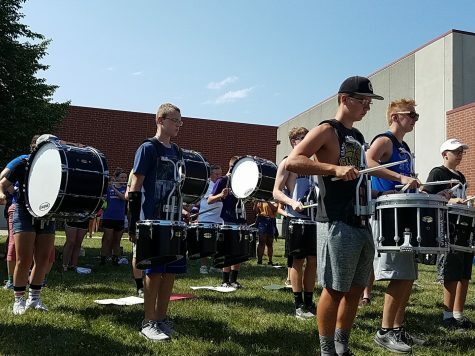 Students typically attend a camp in the summer and practice around three to five hours per week after the school year starts. TRIPLE THREAT – Seniors Sarah Schorle and Avery Andersen show off their medals with sophomore Genevieve Martinez. 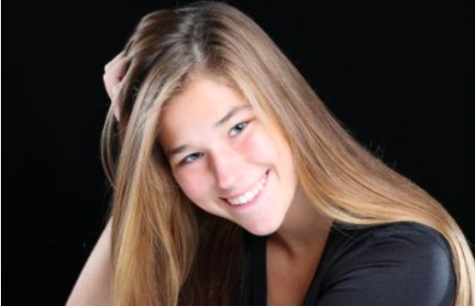 Andersen has auditioned for All-State four years and was recalled three times, including this year. “When I was accepted it was a rush of a whole bunch of different emotions,” he said. For the festival performance, choir members had to learn the song “Laudate Pueri,” written by Mozart. According to Andersen, classical Latin is “one of the hardest” to learn because of moving notes. The experience was “nothing short of the word magical,” and brought a new meaning to Hilton magic for Andersen. 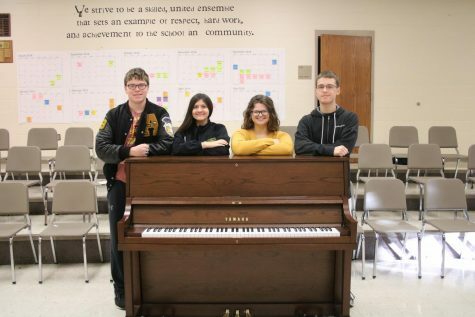 Both O’Donnell and Gaesser express the importance for members to try out for All-State, as they become “better musicians” through the process.